Set of machine heads, 3 left and 3 right. 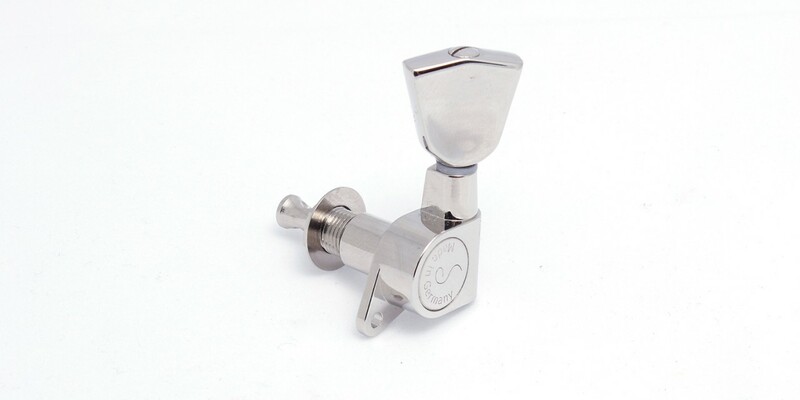 Nickel with tulip button for Hofner Thin President. Schaller.